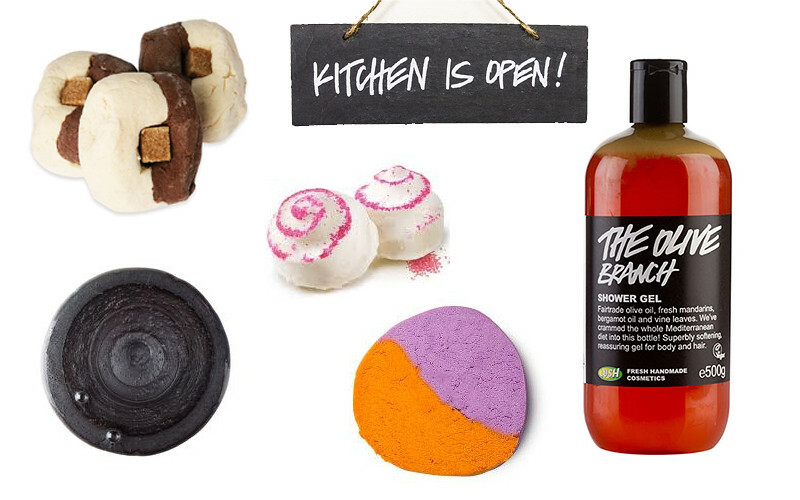 This past year I have become slightly obsessed with the Lush Kitchen and being able to try one off products or old favourites that have been discontinued. Each Sunday the Kitchen releases the menu for the following week and I thought I'd create my own perfect version that I would love to see. Monday | Ma Bar Bubble Bar // Years later I still cannot believe this bubble bar has been discontinued. This toffee chocolate scented bubble bar is by far my favourite Lush product and I've bought so many of them. The Gold Fun does share the same scent which I have, but it just doesn't work as well as this bubble bar did. I know it's been in the Kitchen before but it was before I knew it existed and I am counting down the days until it is brought back again. Tuesday | Mrs Whippy Bath Bomb // Another bath bomb that I wish hadn't been discontinued! Just look how cute it looks! It shares the same scent as Yummy Yummy Mummy and is a sweet vanilla strawberry. It also shares the scent with Strawberry Feels Forever Massage bar which is still available to buy. It's a pretty plain bath bomb when it's added to the bath but it leaves your skin feeling incredibly soft and moisturised and smelling amazing. Wednesday | Black Pearl Shower Gel // This was available a couple of months back but it sold out the morning it was released and that week I didn't want to make more than one order. I love the name, that it's a grey-black shower gel and that I've heard the scent is a mix of Twilight and The Comforter. Thursday | The Olive Branch Body Lotion // How can I say no to one of my favourite shower gels being turned into a body lotion?! I can only imagine how good this will smell and I might have to put in a special request and ask for this to be brought back again. Friday | Fun With A Twist // This fun has two different scents; purple is Twilight and orange is Dragon's Egg. I tend to use the Fun bars as bubble bars and I'd love to be able to have Twilight scented bubbles while using the bath bomb and shower gel. What would you're perfect Kitchen menu look like?